Five-year-old Anat has a problem with eye–hand coordination: she cannot easily keep her eye on the point where her pencil meets the paper. Anat therefore cannot make the upwards and downwards strokes required for her writing exercises. She soon gives up trying and distracts the children around her. Anat’s teacher thinks her pupil needs to practice her writing until she gets it right, and keeps Anat in class when the other children go out to play. This also serves as punishment for having distracted the other children. On Anat’s return from school, her mother anxiously puts her to work on writing exercises. Anat yells that she hates writing and hates school and tears up her book. As punishment, she is not allowed out to play. She knocks down a vase in protest and it breaks. When Anat’s father comes home to find that a valuable vase is broken, he shouts that Anat’s mother is a poor parent and blames her for Anat’s poor performance in school. The problem is now much more than the issue of Anat’s eye–hand coordination. A relatively minor developmental difficulty has blown up into a learning disability, behavioural difficulties and family conflict. Unfortunately, this is a common story among young children today. Suppose that Anat’s developmental difficulty had been identified accurately and early on, and addressed in a different way. Suppose that Anat had been encouraged to gradually strengthen her eye movements, improve feedback from muscles and joints, and regulate her muscle-tone (all contributing to her eye–hand coordination) through enjoyable play activities, both inside the kindergarten and in the playground, along with other children from her kindergarten. And suppose that writing exercises had been introduced slowly as coordination improved? Similarly, suppose that Anat’s parents had been gently informed about the coordination problem and encouraged to help her through play at home. If all this had happened, Anat would have had much greater chances of going to school with a positive attitude to learning, shared by her parents, instead of falling into the negative spiral just described. This second approach is taken by the Centre for Learning Competence (clc) in Israel. The Centre’s director, a developmental psychologist, worked out this approach through decades of therapeutic work with children with learning or behavioural problems. The Centre identifies the underlying developmental difficulty around which psychological, social and family problems have accrued. Once it is effectively addressed, a child’s academic and social problems are dramatically reduced. The clc has attempted over the years to extend the benefits of its approach beyond those children whose parents can afford to pay. Some municipalities in Israel have funded the programme within schools and kindergartens, but these tend to be in the more affluent cities. Even there, support for the programme is vulnerable to political shifts and budget cuts. 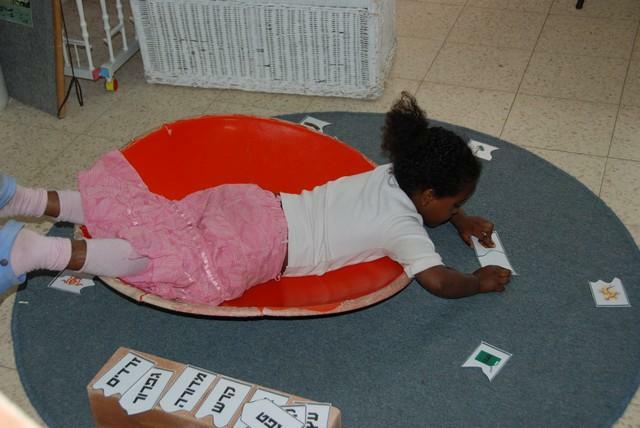 In 2005, the clc and the Bernard van Leer Foundation began a three-year collaboration to enable disadvantaged young children in the cities of Haifa, Netanya and Rishon-Lezion to begin their school education within a climate conducive to the natural development of children’s minds and bodies. The programme is oriented to kindergartens because these are generally the first formal education environments, acting as stepping stones to school. 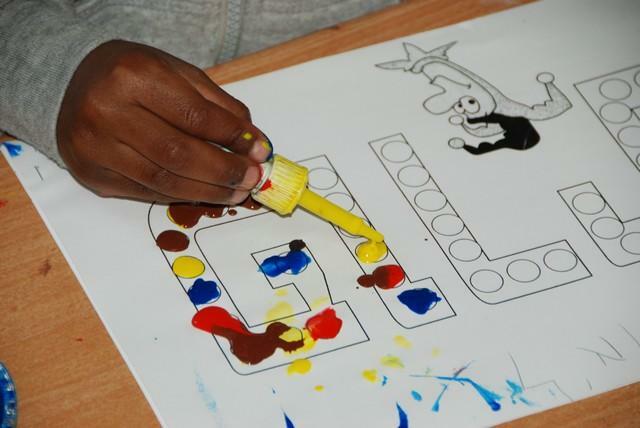 The clc also has programmes for children younger than kindergarten age and for school children. But the Foundation chose kindergarten as a strategic point to exert a strong positive influence on a child’s transition to school. 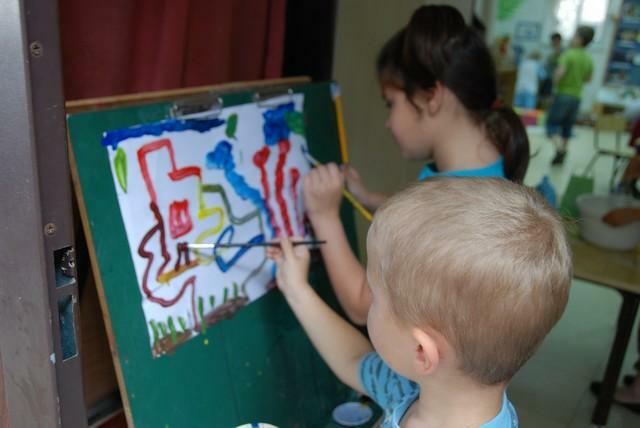 The collaborative programme is called “Children-Friendly Kindergartens”. This is shorthand for saying that the kindergartens operate in ways that allow children to develop skills and abilities, rather than imposing the developmental norms that adults consider desirable. The approach questions the conventional distinction between education for ‘normal’ children and special education for children with disabilities. It recognises that children acquire abilities at different rates and that most children need support in developing particular abilities. If this support is provided at the right time, in the right way, many children who would otherwise have been called ‘disabled’ can remain in mainstream environments with ‘normal’ children. The clc provides effective therapy for children diagnosed with developmental difficulties; but it prefers to create early learning environments that pre-empt the emergence of developmental difficulties and encourage every child to flourish. Teachers and assistants have acquired knowledge and skills (in addition to those in conventional teacher training) through a special in-service course provided by the clc. Kindergarten teachers and assistants initially learn how children develop various sensory-motor abilities, and later how to spot a child having trouble and how to support her effectively. In Anat’s case, her teacher would have been taught about the ways in which eye–hand coordination develop and how a child’s difficulty with this skill may be associated with behavioural problems. Instead of aggravating Anat’s difficulty with writing exercises and punishments, the teacher would have helped her to strengthen the basic functions that underlie coordination through enjoyable play routines. Kindergarten staff receive regular back-up from the clc and from a local coordinator (see below). They also share experiences, learning from each other. Teachers and assistants appear purposefully and happily engaged. Rather than struggling with the symptoms of problems, they directly and successfully address the problems at their roots, with professional support. When the programme is working well, the atmosphere in a child-friendly kindergarten is striking. Visitors notice the wide range of activities on offer and how purposefully engaged the children are in these activities. Noise levels are generally low not because of authoritarian discipline but because children are happily occupied in play (and learning). Parents seem happier too. They no longer come to collect their children with the dread of complaints from the staff and from a wailing child. Instead, they participate in discussions about their child’s on-going progress. Special workshops inform parents about the Centre’s approach. It is hoped that they will extend this knowledge to their other children as well. Finally, the children acquire a problem-solving approach to developmental difficulties. Anat now understands why, compared with most of her classmates, it takes more time for her to move a pencil along the page as directed, and she can see that this is getting easier. Her classmates report to their parents that Anat did three clear lines today, rather than that Anat is stupid or naughty. In a conventional setting, a dyslexic child is defined as having difficulties in attaining a functional level of reading, despite usual teaching methods, even though the child is not mentally disabled, blind, deaf or incapacitated in any other way, and does not come from a severely disadvantaged social or family background. The clc would never tell a parent that his or her child is dyslexic, knowing that this may evoke negative emotions undermining the parent’s ability to fully support the child. The blanket term ‘dyslexia’ (with the attendant stigma) is avoided, and the precise developmental difficulty is identified, along with the required response. For example, one child has difficulty reading because he cannot easily distinguish between sounds. A second cannot read because her eye movements are jerky. A third child is visually sensitive to the contrast between dark print and white paper, and shies away from looking at printed pages. And a fourth cannot remember the link between the letter and the sound. All four children can successfully and happily learn to read once the developmental difficulty is addressed, through fun activities rather than irksome corrections, and with sensitive guidance from adults at school and at home. The basic developmental functions addressed by the clc determine not only learning issues, but children’s social and emotional responses, communication and language abilities, and more. The collaborative project tries to anchor this approach in mainstream education through a local coordinator who has received extensive training in the clc’s approach, attached to the municipal department of education. The coordinator is usually a former kindergarten teacher well-suited to supporting teachers in Children-Friendly Kindergartens. The Centre for Learning Competence is an abbreviation of the organisation’s full name “Learning Competence – the Centre for the Advancement of Functional Capacities”. equip educators and parents with the skills to fully support children’s development.